On May 31st, I was shocked to find out one of my submitted sessions was selected for PASS Summit 2018. My response? I didn’t see this coming. At all. I was stunned – walking around at the office, saying “Oh my gosh…I got picked” while co-workers looked at me like I had lost my mind. Literally. I thought I would be going to PASS Summit this year, but not as a speaker. I thought I would be an attendee, learning a lot and having an amazing time. I thought it was far more likely that we see 10 feet of snow this winter in Texas than I would be selected for this year’s PASS Summit. I am sincerely humbled and grateful to be selected. The competition was stiff. 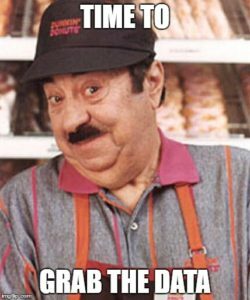 I should know – just like last year, I pulled all the data while it was still available. Once the selections were announced I was able to isolate the sessions from those submitted, and also isolate the ones that were not selected. I was able to determine one particular number – how many sessions were selected out of total submissions. 90. 90 sessions were selected out of approximately 600 submitted. I might be off by a few, but I also checked this against ones that are there but I didn’t have in the data pull from immediately following the closing of submissions. For the most part, the ones that are there that didn’t match with a submission are pre-cons or sessions from what I am assuming were invited speakers. I’m not saying any of this is bad. What I am saying is that the competition among PASS Summit submissions is growing and becoming more fierce. I see this as a positive for the community – we are developing more and more excellent speakers with awesome content to share. I queried my data set further, looking for the names of the people selected and those not selected. I found the latter to contain many speakers I know personally, who would make amazing PASS Summit speakers, and may have already done so in the past. I pulled the list of the speakers that had sessions that were part of the “Best Of” from PASS Summit 2017. Out of 36 speakers from that list, 13 of those are currently part of 2018 PASS Summit lineup. While it could be said that all of these people should be on this year’s roster because they were part of the “Best Of” from last year, I think the only thing that can really be taken away from this number is the fact that no one is guaranteed a speaking spot at PASS Summit, no matter who you are. Are there invited speakers? Yes, but like the regular submissions selection, that list likely has some subjectivity to it as well. Maybe an invited speaker gets red carded in the previous year following their session (heaven forbid, but you never know) – do you think they would be invited back? I would hope not, regardless of the content they would provide. As speakers in the SQL community, we are largely a very goal oriented, driven bunch of people. We might even be a tad competitive. It’s not lost on me how fortunate I am to have been selected this year. Looking back to previous years when my submissions didn’t make the cut, I know now that while this was something that I wanted, I wasn’t ready. I might have been grumpy about it, but that didn’t make me any more ready for this monumental task. For all the seasoned PASS Summit speaker veterans that were not selected, you of all people know how competitive this is. You also know that your time will come again. Selected or not, I hope to see everyone at PASS Summit this year. If you haven’t registered yet, and need a discount code, I got one of those for ya! The price for PASS Summit goes up after June 29th so if you are planning on attending, get registered now! Note: I am on the board of directors for the North Texas SQL Server User Group and this is our code. Registering with this code benefits our group. There are other discount codes out there but I just gave you this one. Like, right now. See? There it is. So go register and use it! Holy Blocking Chains, Batman – I’m Speaking at PASS Summit! For the first time ever I will doing a general session at PASS Summit this year. Waiting for an email with news one way or the other last week was angst ridden, to say the least. After receiving no notification with the first wave on Tuesday, I got even more anxious and tried to occupy myself with work and other things. I didn’t want to get excited over something that wasn’t even a thing yet. Then late Friday – acceptance. It didn’t sink in right away. I had myself so convinced I wasn’t going to get selected. Maybe my head and heart were still bracing for the disappointment that was not to happen. Why would I be thinking this way? This is the third time I have submitted and the first time I have had a general session accepted. I did have the opportunity of doing a lightning talk last year. I also got to compete in Speaker Idol, which was an amazing and valuable experience that is only available to those that have not done a general session before. More on this later. The first year I submitted I had been writing abstracts the same way I normally did for SQL Saturday events, not knowing there was more involved for a PASS Summit abstract. I logged in and was about to fill out everything for each of my sessions when I saw all these fields to fill out that I didn’t know about. I quickly got things written for them, along with my main abstracts, and submitted. But I didn’t get selected. But I didn’t get selected for a general session. Both times I was disappointed. Both times I did a fair amount of sulking and grumbling, but I am only human. In these cases, my best was beat out by others that were better. Kind of a hard pill to swallow, but I think these challenges are what make us who we are – IT professionals that are constantly striving to improve our own skills while creating content that will convey knowledge and better the SQL Server community. Last year however, I was selected for a lightning talk and I finally got to participate in Speaker Idol. Doing my lightning talk on How to Keep Your DBA from KILLING YOU was fun and a great experience. Speaker Idol? Wow…how do I put this? If you are a new speaker, and have not spoken at PASS Summit before (general session or better), throw your name in the hat for this! If selected, you will have the opportunity to get up and present something in five minutes, and get immediate feedback from a panel of judges, who also happen to be well known and experienced speakers in the SQL community. When this was first done in 2014, I heard about the brutality of the first round, so I made sure I was there for the subsequent rounds. Your audience for this? Mostly speakers or aspiring speakers. Don’t be surprised if the final round is standing room only. Or if there are acrobatics (lookin’ at you, Rob). Earlier this year it was announced that the Summit selection process was changing yet again. There would be no feedback to speakers and you were also limited to submitting three sessions. There was also a list of topics, with some marked as “hot topics” or topics that PASS really wanted content on. It was also stated that they wanted new content. That session you had been peddling to every SQL Saturday that would have you? Not new content. I took all this info and combined it with a ramped-up abstract writing and review process. What is ramped-up? Reading the sessions that were selected last year, and having a reviewer that is a seasoned PASS Summit speaker. It also helped that my reviewer was super critical. Once it was announced that submissions were being accepted I logged in and grabbed all the sections that I would need to fill out and got started on my abstracts, outlining details before writing anything. There was even one session I outlined while on a plane, that I looked at later to write up and decided it was COMPLETE GARBAGE…AND WHAT WAS I THINKING??? What did I learn from the PASS Summit submission and selection process this year? Review, review, review. Write them early, review, come back later and review again. Have other experienced PASS Summit speakers review your abstracts. Don’t like their feedback or think they are being mean? Ummmm….they are trying to help you get your abstract to a level that is worthy of PASS Summit. LISTEN TO THEM!!! And buy them a beer. Nothing is guaranteed. In a previous blog post I told y’all how to pull all the submitted session into a table and even gave you some PowerShell code to do it. I was able to compare that to the list of speakers selected and there were some amazing people that have spoken and PASS Summit before that didn’t make the cut this year. 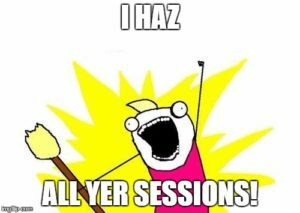 Sessions are reviewed and selected by human beings. This is a gamble, and regardless of how good of an abstract you have, you are at the mercy of the session review committee and what they feel is good enough for Summit. This is a monumental task, but they hunker down and get it done so that all of us can have an amazing selection of sessions to pick from. I hope I get to see everyone at PASS Summit this year, whether or not they are speaking. Out of the conferences that I have been to over the years, I have found PASS Summit to not only be the best of them, but it was where I discovered that the #SQLFamily thing is real. If you are open to it, you can get hooked into groups that will welcome you and include you all because you are there for the same reason they are – to expand your knowledge and career in the area of SQL Server.